Sale Alert: Huawei Nova 3i is down to PHP 14,990! 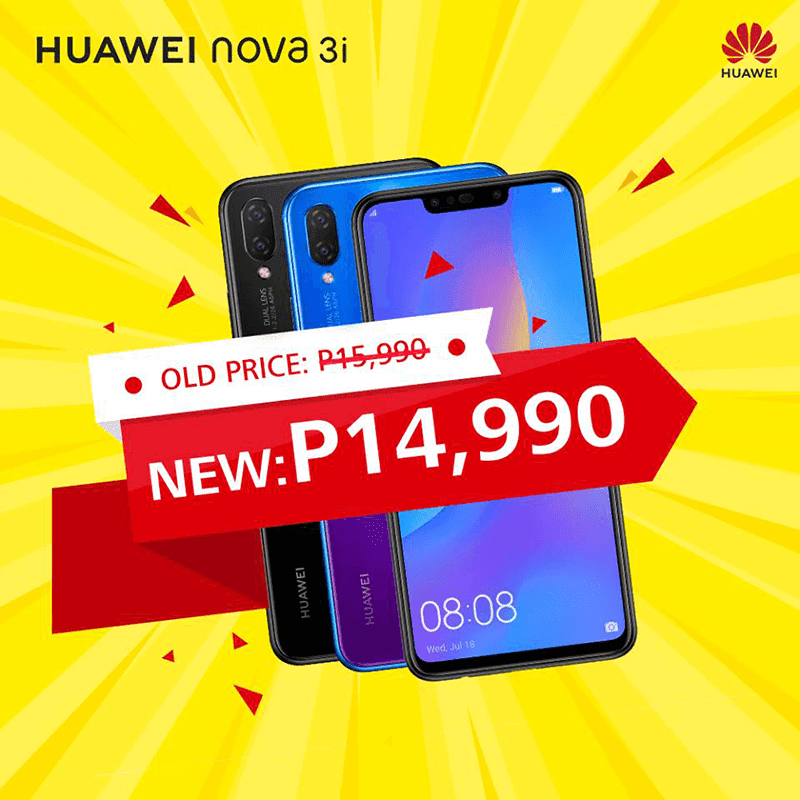 Home / huawei / mobile / news / Sale Alert: Huawei Nova 3i is down to PHP 14,990! Huawei Mobile Philippines just announced the Nova 3i price cut. To recall, the Huawei Nova 3i is arguably the most popular mid-range smartphone in the country last year. It is due to its premium metal and glass design, capable specs with Kirin 710 AI chipset, and AI-assisted quad-camera setup. Fast forward early 2019, the design, specs, and features of this device are still competitive. Starting January 19, Huawei will slash the price of the Nova 3i from PHP 15,990 to just PHP 14,990. You can get the Nova 3i at all Huawei stores and partner retailers nationwide.